Michel Kaiser was awarded the title of specialist in public, constitutional and administrative law by the Order of Lawyers in 2003. 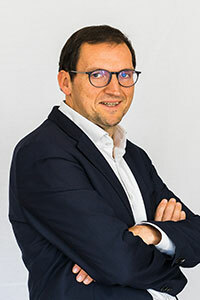 Together with Céline Verbrouck, he is a founding partner of Altea, a well thought out venture that offers an ideal framework for providing optimal service to a clientele of private individuals, companies and public authorities. He works in all areas of administrative and constitutional law and often handles cases in public service law, education law, administrative healthcare law, notably in pharmaceutical and hospital law, constitutional law and human rights law, expropriation law, urban planning law, public economic law, public contract law and local authorities' law. Michel Kaiser became a member of the Brussels Bar in 1995 after receiving his law degree from the Université Catholique de Louvain (UCL) in 1993 and a Master of Arts in European Community Studies from the University of Newcastle upon Tyne in 1994. Following a traineeship with Maître Pierre Lambert, he joined the firm of Maître Xavier Leurquin in 1999. While with this firm, he took part in the creation of the Xirius partnership of which he was a partner from 2003 to 2012. He has been a member of the Jurisdictional College of the Brussels-Capital Region since June 2006. This administrative jurisdiction carries out the judicial missions assigned to the Provincial College in the Brussels-Capital Region. In this position, he has had to handle the municipal electoral dispute and the local public accountants' dispute from a somewhat different perspective. Michel Kaiser was the assistant to the public law department at the Université Catholique de Louvain for eight years. He currently holds the position of researcher. He dedicates a significant amount of his research time to his position as the assistant editor of Administration Publique magazine. He also often takes part in training and colloquiums on areas related to his practice. He has often been published on topics in administrative and constitutional law and in the fields of human and fundamental freedoms. See his publications. Active at the bar, Michel Kaiser is a member of the public law commission of the French-language Order of the Brussels Bar and of the "administrative jurisdictions" commission of the Order of French- and German-language Bars. A leader of the Communication Institute of the Brussels Bar for several years, he won the "Le Jeune 1997" prize (the "Le Jeune & Janson" pleading competition organised by the Conférence du Jeune Barreau de Bruxelles). Michel Kaiser has held several volunteer positions in the non-profit sector. He was a member of the “Commission for foreigners” of the Human Rights League from 1997 to 2002, then its Chair from 2002 to 2007.